Dayyan of Prague in the second half of the eighteenth century. He was the author of a work called "Shishshah Zir'one 'Arugah," six discussions in regard to ritual laws, one of them being with Ezekiel Landau about the law of "ḥaliẓah" (Prague, 1789). 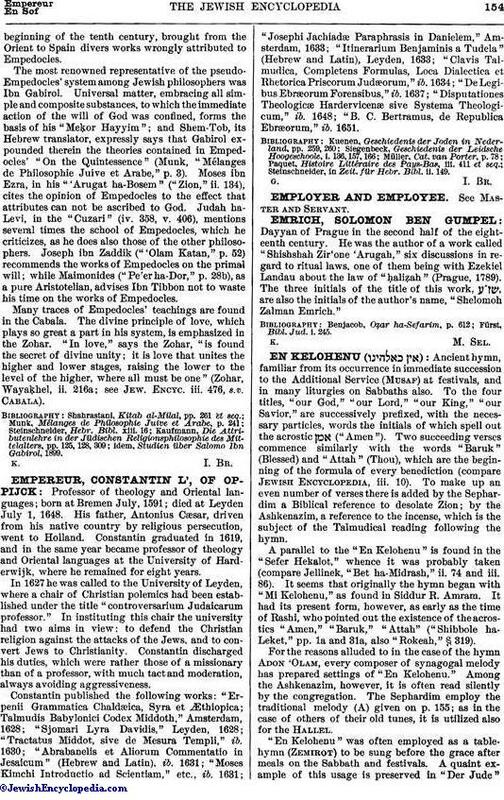 The three initials of the title of this work, , are also the initials of the author's name, "Shelomoh Zalman Emrich." Fürst, Bibl. Jud. i. 245.